How to Keep Pet Owners Involved on Social Media - LifeLearn Inc. : LifeLearn Inc. When was the last time you felt truly engaged by something you saw on your social media feed? Chances are, it was a Facebook “On This Day” memory with friends, or a funny dog video that went viral. What if we told you it’s possible to mimic that same level of engagement on your veterinary social media to keep pet owners involved and excited about your practice? Good news: It is possible! Connecting with pet owners on social media should be an essential facet of any marketing strategy, given that there are now 2 billion users on Facebook alone. With so many pet owners active on social media, it’s great to know you have a built-in audience for your quality content. Unfortunately, social media is also being used by your competitors. So, how can you get a leg-up from the competition and learn to more effectively engage pet owners with your veterinary practice’s social media? We’ve come up with a few pointers to steer you in the right direction, so read on to find out how! Make social media listening a priority. Engaging your audience on social media is all about starting—and maintaining—a conversation. To make these conversations truly valuable, you must first know what pet owners want or need to talk about. Social media listening, or “monitoring,” is a great way to get an idea of what issues and topics pet owners are most concerned about. By browsing relevant social media content, you’ll gain insight into the online pet owner world to become better prepared to engage them. Don’t worry—it’s really simple and it doesn’t have to take forever. Social media listening is essentially an online version of “eavesdropping” in which you browse related content to find out what your audience is already talking about. For example, if a veterinarian wanted to know what prospective pet owners look for in a veterinarian, they might browse some reviews on a competitor’s social media to find ways to improve their own services. By researching pain points, you learn new strategies to market your own practice. How do you find relevant conversations? Rest assured, you don’t need to labor away for hours searching social media feeds to find out what you need to know. Save time and narrow your search by keeping it to scale and using social media monitoring tools. Tip: Social media listening tools don’t have to break the bank! A tool like WebDVM Social comes built into every WebDVM website, and can help you stay on top of pet owner social media trends. Alternatively, there are a variety of slightly more time-consuming (yet free!) monitoring tools like Google Alerts that you can use too. While social media listening is essential for learning how to keep pet owners involved, the bulk of your efforts should focus on how you respond to the new insights. 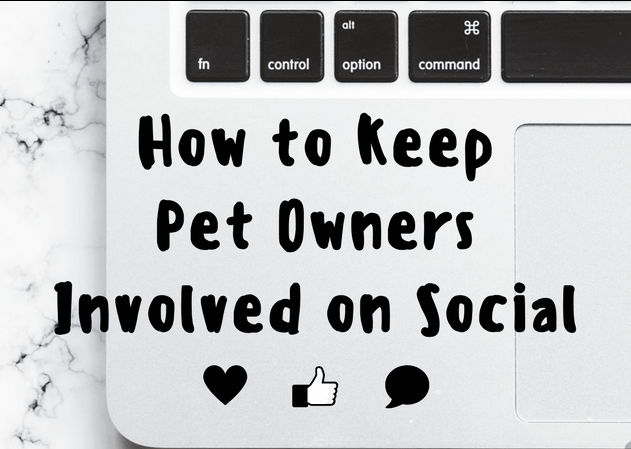 Once you’ve added these new strategies into your content plan, you can begin to involve pet owners more actively and effectively on your veterinary social media. Now that you know what pet owners want to discuss, it’s time to get talking. Good questions are the lifeblood of most conversations, and getting your audience involved on social media is no different. People use social media to connect and share their thoughts. When you pose questions to pet owners on social media, you invite them to enter into a dialogue with you. Asking awesome questions also indicates to the audience that you care about what they have to say. When you appear invested in their pets and themselves, you can build stronger relationships with pet owners—which makes for healthy pets and better business. Which types of questions should you ask? It can be as general as asking the audience what their plans are for a particular pet holiday, or as specific as, “what is your favorite dog breed, and why?” You can even come right out and ask your followers what they want to see you post about more often. Getting client feedback is easy—all you need to do is ask! What’s one of the most effective ways to pose questions on social media? Polls are a fantastic way to ask questions that actually get answers, because all a pet owner has to do to respond is click a button. You can use polls to gauge popular opinion on things, or to field which topics pet owners would like you to cover next on your social media, blog or website. Plus, you can get as creative as you’d like with polls, because not everything on social media should be serious! Keep in mind that good conversations go two ways, so it’s a good practice to invite pet owners to ask questions of you as well. One fun strategy is to hold Q&A sessions in which clients can ask your team pet-related questions. Since the average clinic might not have time to spend hours immediately answering questions online, you can run a campaign through which you take questions over a period of time and then send out the answers as one post or as a series of posts alongside some beautiful images or memes to keep it fun and engaging. Social media relies on visuals to make content more sharable and engaging. Without images, audiences lose interest so even the best writing can go unnoticed. If you want to keep pet owners involved on your veterinary social media, you absolutely must incorporate photos, videos, graphics and maybe even GIFs. What types of visuals work best? Behind-the-scenes shots of the clinic, staff and (with permission) the patients. Collages that illustrate day-to-day veterinary tasks. Cute, fun and funny pet memes and GIFS. Photos of staff at industry events. Viral pet videos and live streaming. The benefits of enhancing your visual impact on social media are endless, making this strategy a no-brainer when it comes to engaging pet owners online. Hold exciting contest and giveaways. Everyone loves to win, and everyone loves free stuff—which makes offering competitions and freebies extremely effective in keeping pet owners involved on social media. Contests and giveaways are also a great way to recognize your followers and demonstrate your gratitude for their support. When pet owners are recognized for their value at your veterinary practice, it’s a win-win situation wherein they are rewarded with a prize and you reap the benefits of a resulting boost in client engagement. What are some easy, cost-effective contests and prizes? There’s no need to invest a ton of time and capital on running social media games and giveaways, unless you have the budget. A little goes a long way on social media, so keep it simple and host things like caption contests that encourage pet owners to engage with your media in a fun way. Photo contests are another option, wherein you ask pet owners to contribute photos of their pets based on a certain theme. As for prizes, they don’t have to be massive. Half the fun of entering a contest is the thrill of the game and the honor of being featured on a veterinary social media page.  The gift can be anything from free merchandise to a complimentary nail trim at your practice.25770Whether you’re offering these prizes to winners or as a random giveaway, be sure to maximize the return on your investment, so to speak. Rather than doing a giveaway for the sake of it, you can always ask pet owners to like, follow or share your content to qualify. While you don’t want to be too aggressive in your approach, it’s important to broaden your reach whenever possible and giveaways are the perfect time to try.Mastering social media can often feel like guessing your way through a complex labyrinth, but following these quick and easy tips can help you find your way out of the woods and into the clearing, with heaps of engaged pet owners in tow. Want to amp up your practice’s social media to better engage pet owners? Find out how WebDVM Social—built into every WebDVM website—can help!